Savings: £430 per set | Time required: A one four-day or two short trips to Poland. 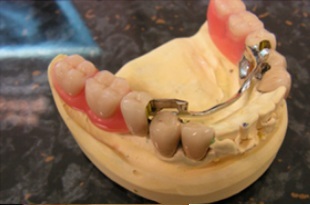 People wear dentures to replace lost or missing teeth so they can enjoy a healthy diet and smile with confidence. 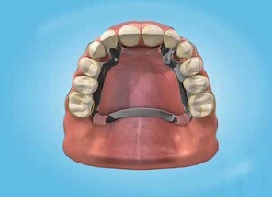 A ’complete’ or ’full’ denture is one which replaces all the natural teeth in either the upper or lower jaws. 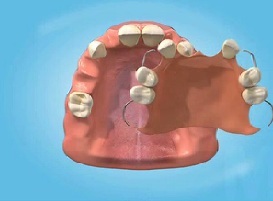 A ’partial’ denture fills in the spaces left by lost or missing teeth. In our dental clinics in Krakow, Poland various dental dentures are available, from cheap and quick acrylic ones to more complicated implant dentures, dentures on interlocks, skeletal dentures on crowns etc. 1. 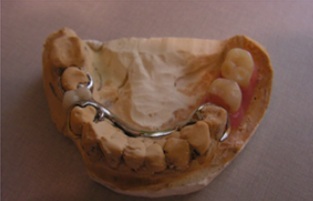 A dentist takes impressions for the denture and the dental lab makes it. 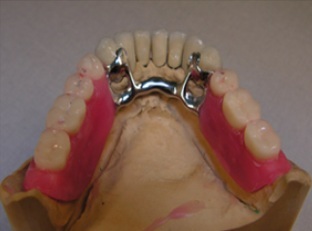 Acrylic denture with plate fits into the missing teeth gaps. 3. 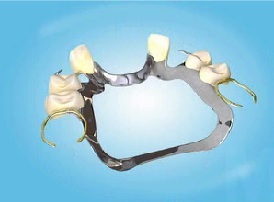 More comfortable chrome skeletal denture can be also produced. 4. It fitts more rigidly into the jaw, without the plate. Dentures may seem quick and easy to obtain, as well as being relatively cheap, but they certainly aren’t the best option. They tend to be uncomfortable and only provide 25% of the biting force of your natural teeth, which can make eating certain foods an impossibility. 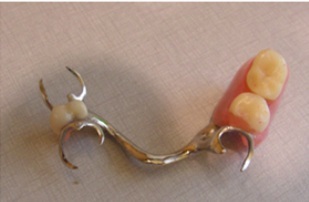 Even the very best dentures on the market come nowhere near the quality of real teeth or dental implants. 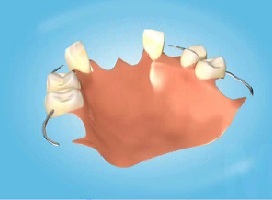 In our Krakow clinics in Poland, dentures start from £350 for acrylic dentures and £670 for skeletals. 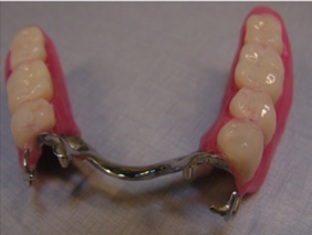 Skeletal dentures are considerably more comfortable, but still not an ideal solution. These low cost dental prices are more than 60% lower than most private clinics in the UK and Ireland.